Coach Lugo is born and raised in Phoenix, Arizona. He has Associate’s Degrees in Graphic Design and Art and is currently pursuing his Bachelor’s Degree in Physical Education. He has been working in education since 2010. Before coming to New Way, he was a Playworks Coach. Coach Lugo loves New Way and being a part of the New Way family. 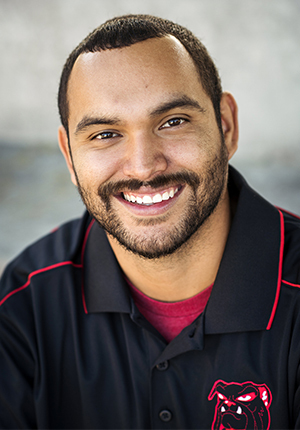 Aside from coaching PE, Coach Lugo is also the Director of the Afterschool Program where he implements homework time, games, and leadership lessons. When he is not at New Way, you can find Coach Lugo at New Way sporting events, food festivals and hiking spots.